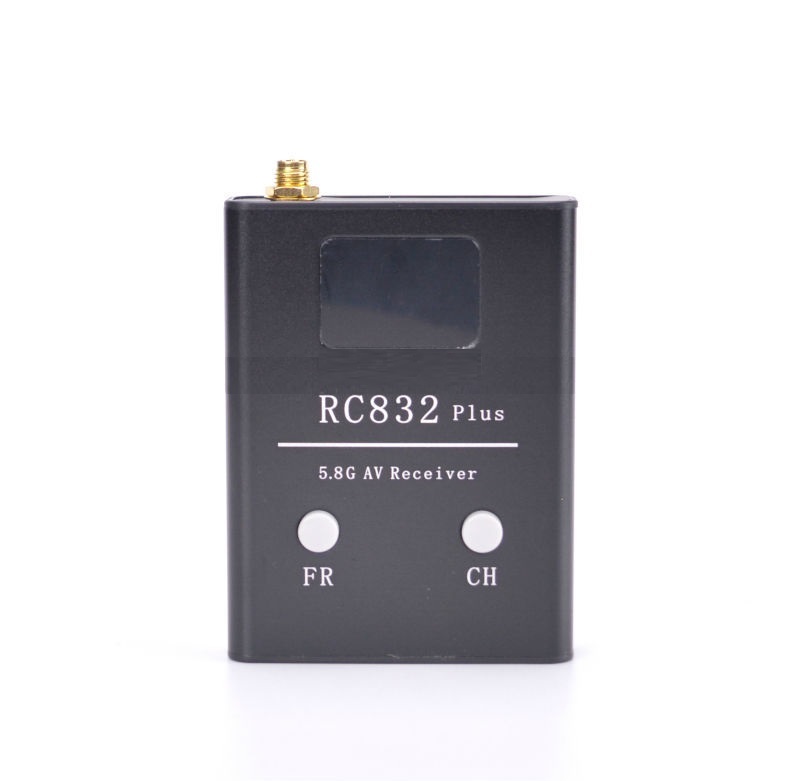 The RC832 plus Receiver is nice and small in size for easy integration into your ground station, but big in quality and features. 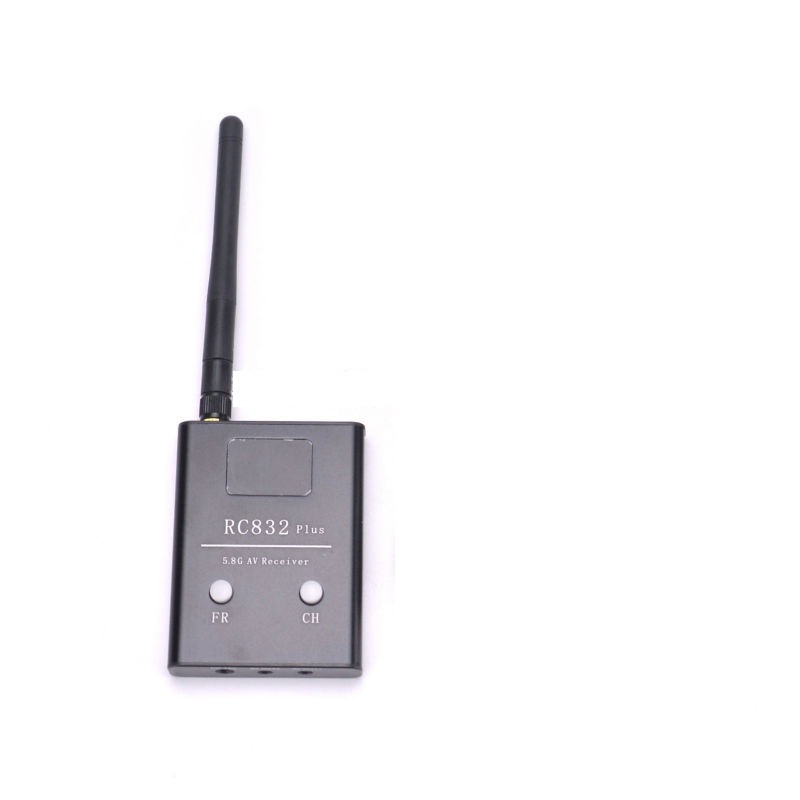 The receiver uses the same two button interface as the TS832 Transmitter making channel swapping a breeze. There are two independent AV outputs for both audio and video. So you can use a monitor and set of goggles or maybe a DVR to record your flight, for when your significant other asks where you were for the last 4 hours. Powering the receiver at the field is as easy as plugging in a 3 cell lipoly into the included prewired cable with mini JST. It just doesn't get any simpler than this.